WAC Lighting Responsible Lighting® Collection J-Track single circuit track system has voltage rating of 120-Volts and current rating of 20-Amps. 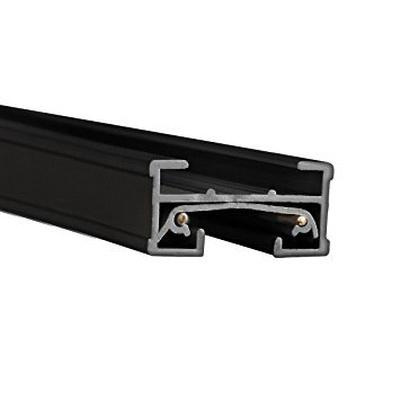 This track system in black finish, features aluminum extrusion with copper bus wire. It measures 96-Inch x 1-3/8-Inch x 3/4-Inch. This 8-ft track system has maximum load capacity of 1920-Watts. This track system works well with compatible Quick Connect™ pendants and fixtures. It supports drywall or suspended ceiling mounting for easy installation. It comes with mounting hardware and end caps. Track system is UL and cUL listed.